As the Tarot cards tune into every possible scenario, and moment in time, they can be included in a spell that matches the vibration of a specific Tarot card, here I use The Moon to grant the outcome you are seeking - psychic powers. I will customise your Tarot Spell with full details on the way you want things to turn out. 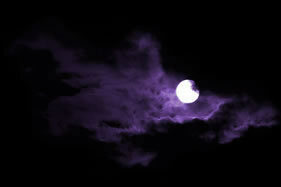 A The Moon tarot card use during a spell will resonate your desire and draw it too you.